@ 1st Floor, which is very different from others cosmetic/skincare brand floor. as i got very short and fragile nail. but still the color is so nice to try it on. Q: Where are China Glaze made from ? 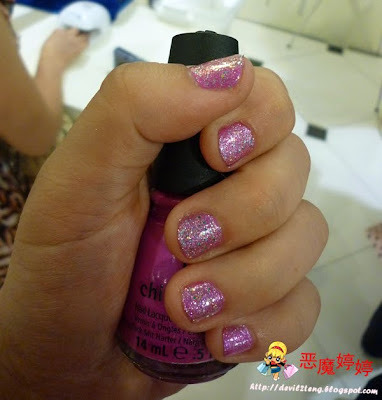 A: It is NOT from CHINA, But USA..
Q: Why called China Glaze? China Clay that gives Smooth Surface. Q: When is Prismatic Range Launch? A: : Mid Of June!! 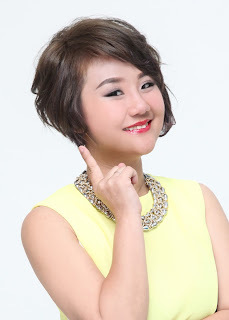 Stay Tune with the Updates! 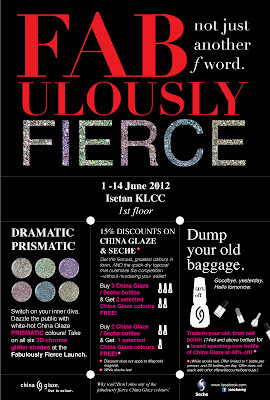 Q: What's the on going promotion for China Glaze ? So Barbie Color ! So Me!! Fiona & Alicia In Action! 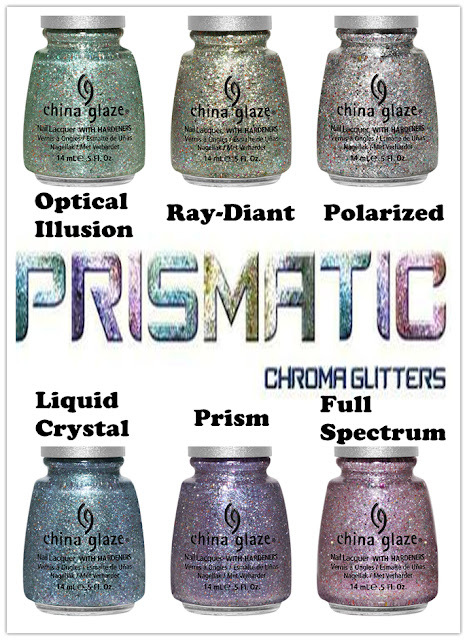 Launch of Prismatic Chroma Glitters Range. create the ultimate eye-catching, 3-dimensional manicure. 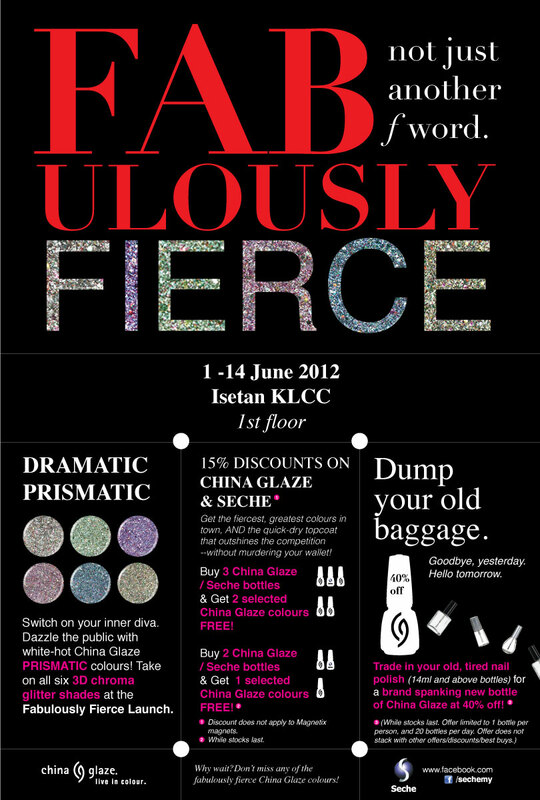 China Glaze® Prismatic will be available in June 2012 at Isetan 1Utama & Isetan KLCC. 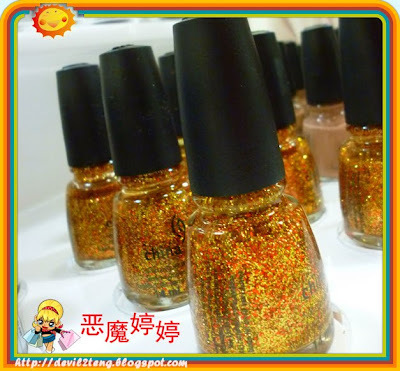 gold and red glitters in 1 bottle like SUNSHINE! it really electrified my eyes! Then make my mind pop out with this song! Devil need to wait my nail longer to try out this range. 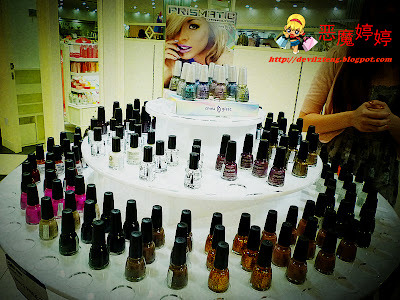 as this range need to have long nails to see the effects of magnetix. there are star shape and stripe from the magnetix effect. wait for my nail to get longer ~ headache!! oh excellent! I love China Glaze nail polishes. They're really good. I used to buy them from a spree-er. How much are they going for here? it is cheaper than O.P.I.